Applications are invited from Indian Citizens (Male & Female) for appointment to Group 'A' post of Super Specialist Medical Officers (Second-in-Command), Specialist Medical Officers (Deputy Commandant) and Medical Officers (Assistant Commandant) in Central Armed Police Forces (ITBP, BSF, CRPF, SSB and Assam Rifles), Ministry of Home Affairs, Government of India. 1)Name of post- Super Specialist Medical Officers (Second-in-Command). Pay scale- Rs 78,800-2,09,200 per month plus other allowances. Age-The age limit for recruitment of Super Specialist Medical Officers (Second-in-Command) should not be exceeding 50 years as on the closing date of receipt of application. (v) Should posses Doctorate of Medicine (DM) or Magister Chirurguie (M.Ch.) or equivalent with three years experience in the concerned Super-Speciality after obtaining the first post-graduate degree. Senior Residency period will also be counted towards experience, physical and medical standard. 2)Name of post- Specialist Medical Officers (Deputy Commandant). Pay scale- Rs 67,700-2,08,700 per month plus other allowances. Age-The age limit for recruitment of Specialist Medical Officers (Deputy Commandant) should not be exceeding 40 years as on the closing date of receipt of application. (iii) Should also possess Post Graduate Degree/Diploma in the concerned speciality mentioned in Section 'A' or in Section 'B' in Schedule-I or equivalent and one and a half years experience in the concerned speciality after obtaining PG Degree or two and half years experience after obtaining PG Diploma. 3)Name of post- Medical Officers (Assistant Commandant). Pay scale- Rs 56,100-1,77,500 per month plus other allowances. Age-The age limit for recruitment of Medical Officers (Assistant Commandant) should not be exceeding 30 years as on the closing date of receipt of application. Candidates who may be undergoing the rotating internship shall be eligible to apply and appear for the interview provided that if selected, they shall have satisfactorily completed the compulsory internship before appointment. a) Upto a maximum of five years for Scheduled Caste or Scheduled Tribe candidates. (b) Upto a maximum of three years for Other Backward Class (OBC) candidates. (c) Upto a maximum of five years in the case of Government servants. (d) Upto a maximum of five years if a candidate had ordinarily been domiciled in the State of Jammu & Kashmir during the period from 1st January, 1980 to the 31st day of December, 1989. (e) Upto a maximum of five years for Children and dependent of victims KILLED in the 1984 riots OR communal riots of 2002 in Gujarat. Selection process-Eligible candidates will be called for interview by a board of officers at designated centres to assess their suitability for appoinment in CAPFs. Application fee- Male candidates belonging to general (UR)OBC category applying for recruitment to the above posts should pay Rs 400/- (Rupees Four Hundred Only) as application fee through online gateway system. No fee for SC/ST/ Ex servicemen and female. 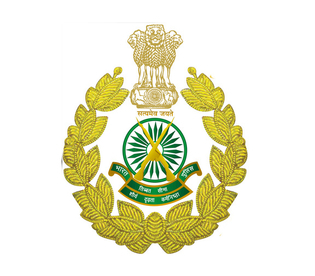 How to apply- Interested and eligible candidates may apply online through ITBP website - www.recruitment.itbpolice.nic.in from 02-04-2019 to 01-05-2019.